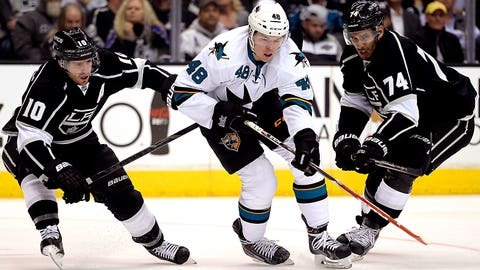 The Kings head to San Jose to face the Sharks on Wednesday night, starting at 6:30 p.m. on Prime Ticket for a decisive Game 7 in the first round of the Stanley Cup Playoffs. EL SEGUNDO, Calif. — Drew Doughty was so excited Monday night he barely even slept. He has practiced for this moment for years, first with his friends in the driveway of his London, Ontario, his childhood home, always pretending to be scoring the winning goal in Game 7 of the Stanley Cup Finals. 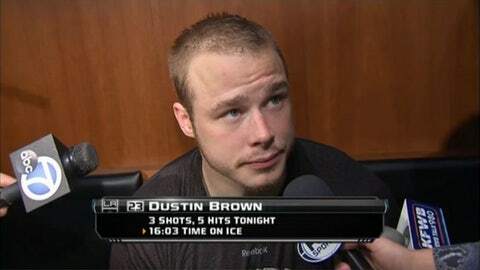 Then later, he practiced by playing actual Game 7s with the LA Kings in the Stanley Cup Playoffs. Except none of the previous game 7s have been as big as the one Doughty is anxiously awaiting. "I’m excited about the position we put ourselves in," Doughty said. "But we’re not done." 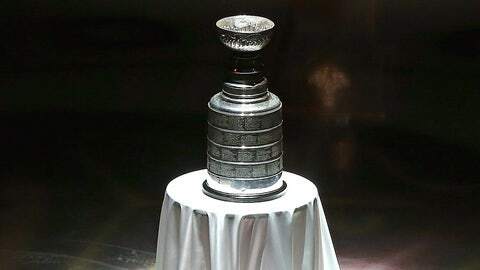 The Kings will attempt to make history by becoming just the fourth team in NHL history to come back from a 3-0 series deficit to win a Stanley Cup Playoff series on Wednesday night, starting at 6:30 p.m. on Prime Ticket. "We just want to win so bad," Doughty said. "We just don’t give up. We never let the media or anyone else tell us that we can’t do something. We believe in each other and in ourselves." The Sharks might have the home-ice advantage but are juggling goaltenders and are without their top defenseman in Marc-Edouard Vlasic. The Kings hold two distinct advantages, with the first being their goaltender Jonathan Quick. Thus far in the playoffs, 25 different goalies have been used. But the Kings have used only one. But it’s been Justin Williams who has been the biggest difference-making in the turnaround, finding a playoff edge that a year ago earned him the nickname "Mr. Game 7." The playoff veteran has four goals and five points in the postseason and he’s scored them in the most important moments. "He loves this time and he loves the pressure situations. He seems to just embrace it," said forward Mike Richards. "He’s just a competitor. He’s not the biggest guy, I don’t want to say skinny but he’s a smaller guy and he fights every battle. It doesn’t matter how small he is or how big the other person is for a guy as competitive as he is." There’s not much Williams hasn’t done. L.A.’s forechecking game has been drastically improved in the last three games and he’s been an integral part of that as well as containing the San Jose forecheck and on the penalty kill. "He doesn’t get a lot credit for what he does for our team," Doughty said. "He’s does a lot of little things, like getting under the other team’s skin. He’s really good at that, he gets guys rattled and you can see guys taking liberty at him." It’s almost as if the Kings are at their best when no one expects anything from them. They’re the team that builds up expectations and promptly crushes them before building them back up even higher. "It’s not the most conventional way to win a series," Richards said. "But you’ve got to win in different ways and we’ve put ourselves in a position to move on to the next round but we have to be ready." Fueled by unlikely luck, momentum and the "Beat L.A." chants in the "Cage," the Kings have one more shot to make history this season. "We’re not satisfied, we really want to win and beat this team," Doughty said. "Especially this team, the San Jose Sharks. They’re a team we’ve seen a lot and really created that rivalry with. We want to beat them bad."